There is mostly one of the two reasons for laptop temperature overheating. Either you are overclocking your processor or if you have a very powerful specification on your system and the cooling fan & thermal paste are not enough to cool down the CPU. And when this happens, your laptop may not work correctly, or it may face sudden shutdown. This issue can become annoying if you are editing some important files or if you are at the end of the final level of the game. 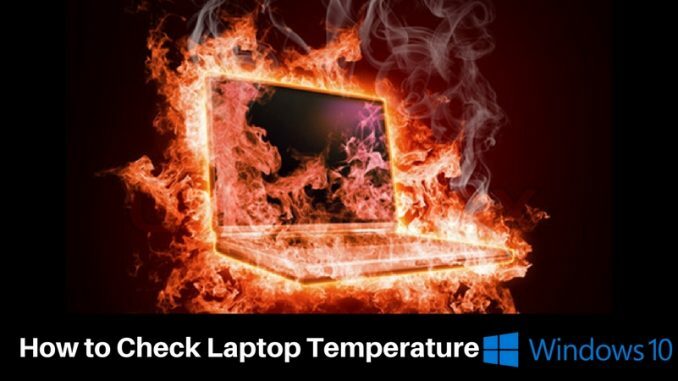 To avoid such problems, it is advisable to monitor laptop temperature while you are overclocking it or using some high-end applications. Here, I have listed the latest apps to check laptop temperature on Windows 10 and other OS with ease. You have to use such third party apps because Windows system doesn’t come with a facility to perform laptop temp monitoring task on the desktop. Yes, you can use the BIOS to check the information about the system including the current temperature of the processor, but that can create a hassle for checking just hotness of the CPU. Let’s see the top applications for measuring the processor heat. 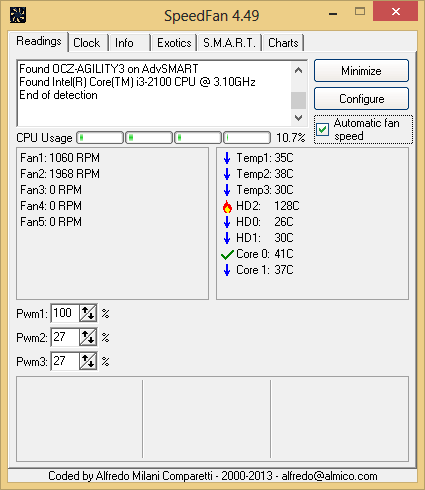 Using an application for monitoring the temperature of the laptop processor is an easiest and quickest method. And there is a bunch of apps available online to help you out with this task. I have mentioned the best laptop temperature monitor apps to guide you in choosing your favorite one. 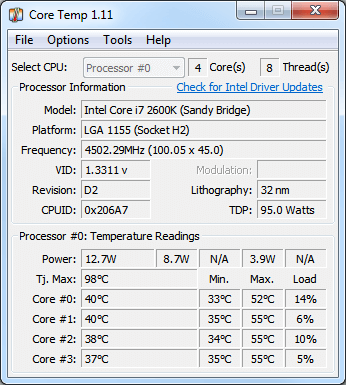 The Core Temp is a small yet powerful footprint to monitor the CPU info along with the current temperature. If you are looking for the best app for checking laptop temperature on Windows 10, then Core Temp is the right choice for you. This app displays the information of each core on the CPU. 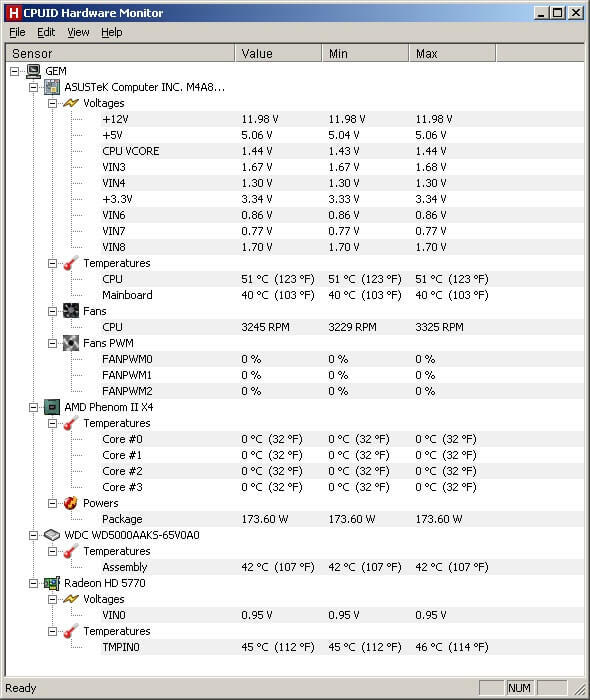 It shows real-time temperature along with the other details of the motherboard on the system. Core Temp is an easy-to-use application which you can customize and expand as per your needs. It is compatible with Intel, AMD, VIA, and other processors. The HWMonitor will not only display the laptop processor temperature, but also let you know how much heat your motherboard, hard disk, graphics card, or other system component is feeling at the moment. HWMonitor is a freeware application that provides dynamic and real-time statistics about the voltage, temperature, and other info. The CPU-Z is a free Windows 10 laptop temperature application which has an easy and simple process of installing and using. But it provides accurate and helpful info about the temperature and other things of your processor & other PC components. This easy-to-use program for monitoring your laptop temperature is recommended by many users, and I am also using it on my system. 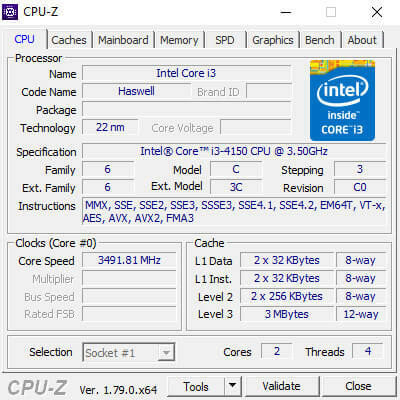 Along with the processor temp, the CPU-Z also displays information about the CPU model, RAM model, motherboard model, and other info on the app screen. Whether you are a computer geek or a simple laptop user, the Speed Fan can be a reliable, useful, and processor saving the application. The app has many beneficial features which make it favorite among worldwide PC users. It takes just 5MB of system space and not putting any load on the processor. It works with Windows 10 and all other Windows Operating Systems. Speed Fan app directly connects to the laptop sensors and detects the specifications. It shows the CPU fan, chassis fan, and power fan speeds as well as the temperatures of the processor, graphics card, hard disk, and other components. It also shows hard drive error if there is any which will help you to optimize the performance of your system. It is a good thing to monitor the laptop temperature regularly. It will help you to optimize the CPU performance and extends the life of the board. But, you should always try to avoid the overheating situations of your processor. Use cooling components like a cooling fan, good-quality thermal paste; keep your CPU case in a well-ventilated area; and don’t overclock your processor until and unless you need it.